Escondido Neighbors United – An alliance of engaged residents working for the benefit of rural, urban, and natural communities in the Escondido Area. Oak Creek-– never was there a more wrongly named development. 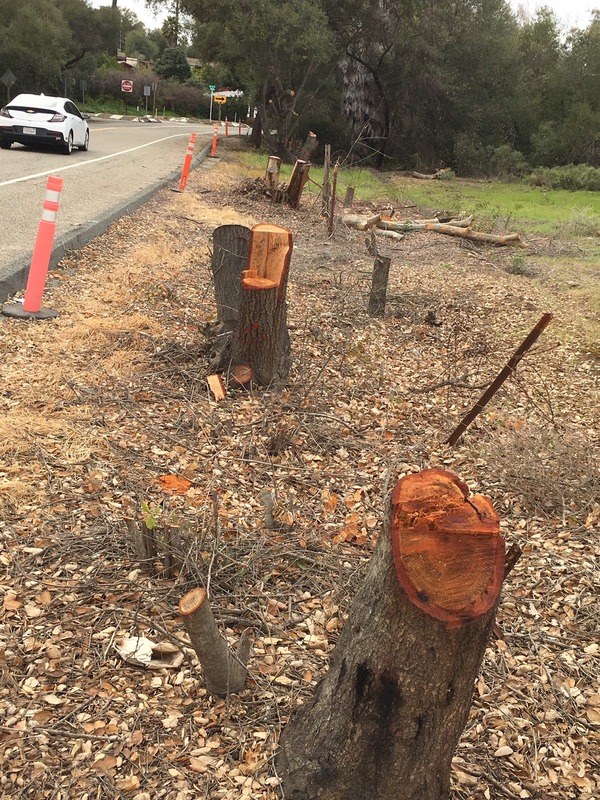 The decimation of the Oak Trees is in full swing as you can see if you drive on Felicita Road near the Park. The chainsaws and bulldozers are hard at work, indiscriminately destroying hundreds of oak trees on site. It is too late to save them. 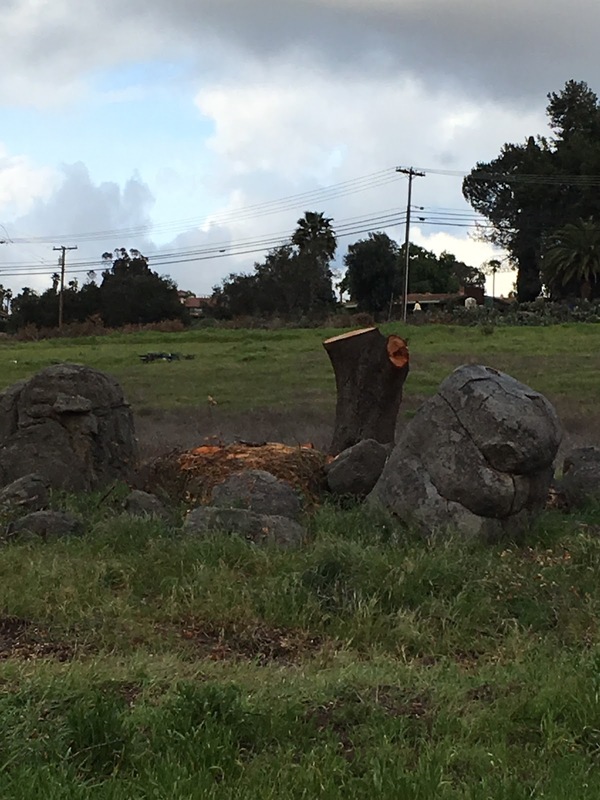 The former Mayor and Council majority (Thank you Olga Diaz for voting no) refused to even examine modest changes to the plan that could have saved many of these trees. This is happening in Escondido in Mike Morasco’s district, who supported it. Even the staff agreed with us that a bike path alignment that reduced the tree cutting was possible. But Abed and his supporters Morasco, Gallo, and Masson ignored it all. 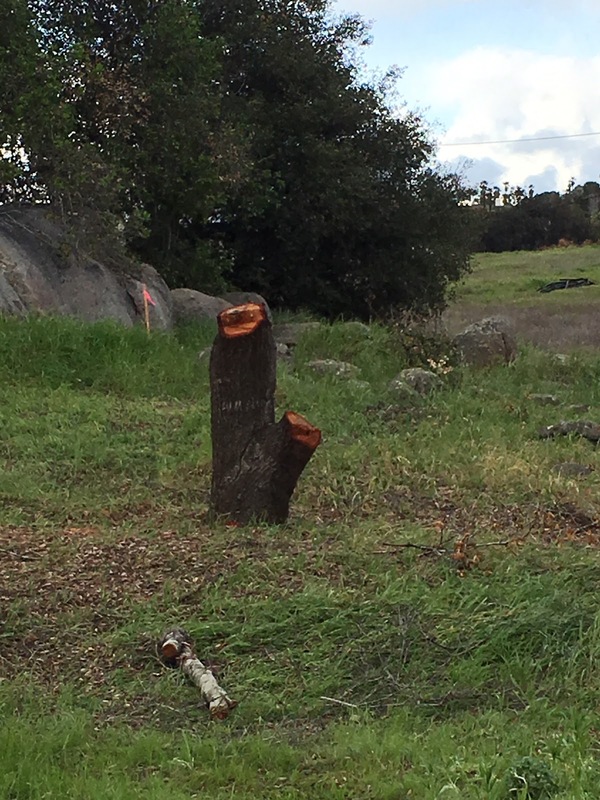 So, while (under new leadership) we develop a new climate plan that calls for planting of new trees, Oak Creek developers are busy cutting down established, threatened, and healthy oaks on their site and in the park. Neighbors downstream are concerned about flooding with good reason. It is a terrible result from a bad process to facilitate an ill-advised development. So, please take a moment to say good bye to these beautiful trees who have offered their air, beauty, greenery, and carbon sequestration for us for so long. Our neighborhood will be forever degraded as a result. All we can do is bear witness and remember this legacy of Mike Morasco and John Masson and former elected officials Sam Abed and Ed Gallo. Please send your photos and videos to us. We may need them in the future. and best ideas for our future. Please communicate your thoughts to them. your Councilmember by clicking here. 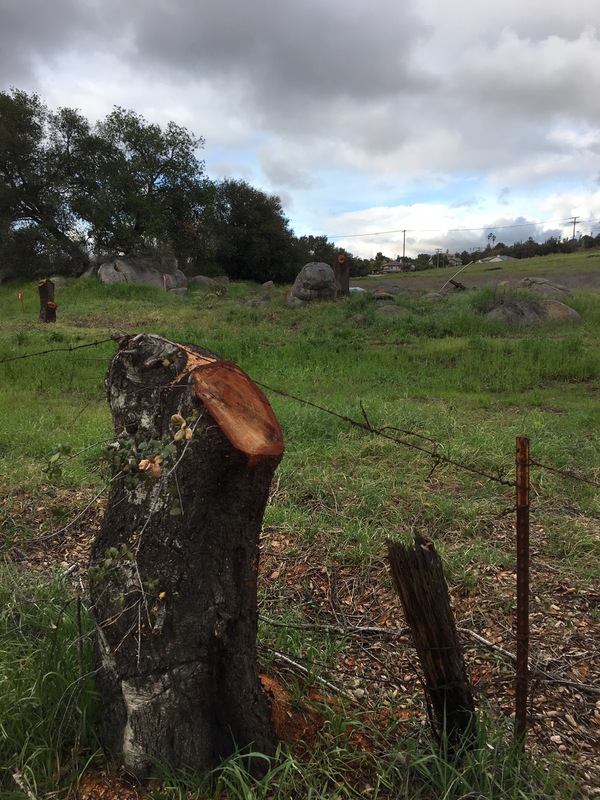 the city to require the developer of Oak Creek Development to reexamine the stormwater and transportation aspects of the project to reduce oak tree loss and stormwater flooding! city should stop annexations that increase fire risks, worsen traffic, impact the climate, cause habitat losses. city should partner with state and County to take more action on the Chatham Barrel Yard remediation! direct, what they do impacts us greatly so please comment. The first will be on Wednesday, March 6 at the East Valley Community Center, Vineyard Room, at 6 p.m., regarding how the City develops the annual Operating Budget and Capital Improvement Program and Budget. This meeting will provide an overview of what is included in these budgets and how the information directly affects the community. Saturday field trips, April 27th, May11thand May 25th. Las Companas Retirement Home is on the east side of this intersection). tracking, and the different habitats in San Diego County. 60.00 and the cost for both is $ 90.00. Box 2483, Escondido, Ca. 92033-2483 by April 13, 2019. Palomar Audubon Society, P.0. Box 2483, Escondido, Ca.